New Delhi, March 19: In the wake of the death of a six-year-old boy, who was undergoing treatment for West Nile fever in Kerala, the Centre on Tuesday reviewed the current situation, preparedness and action taken to deal with the disease in the state's Mallapuram district. According to Union Health ministry officials, this could be the first fatality due to the vector-borne disease reported from the country. The Union Health ministry along with officials from the National Centre for Disease Control (NCDC) reviewed the state preparedness and action taken to deal with West Nile Fever (WNF) in Mallapuram district on Tuesday, an official said. A multi-disciplinary central team is already deputed in Mallapuram to investigate various epidemiological aspects of West Nile Virus (WNV) there and also help the district administration in its prevention and management. West Nile Fever: 6 Year-Old Boy Dies in Kerala Hospital Due to Vector-Borne Disease. The state has been advised to follow the National Vector Borne Disease Control Program (NVBDCP) guidelines of personal protective measures to prevent mosquito bites. The Ministry has also recommended vector surveillance and control to be carried out in coordination with NVBDCP. "It has been advised that all cases of JE/AES are to be investigated as per guidelines of JE/AES and also tested for West Nile Virus. Further, the community is to be sensitized through IEC campaigns on use of personal protective measures to prevent mosquito bites as per NVBDCP Guidelines," a senior health ministry official said. The boy, hailing from Malappuram district, was admitted to the intensive care unit of the Kozhikode Medical College Hospital in neighbouring Kozhikode one week ago after he tested positive for the virus. He died on Monday. 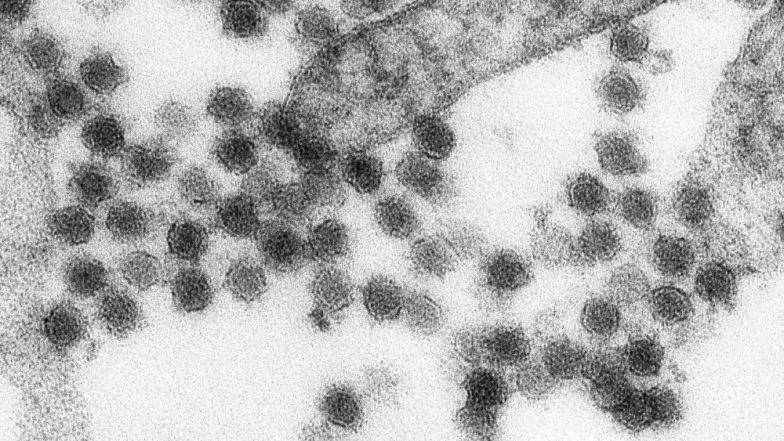 West Nile Fever is a mosquito borne zoonotic disease caused by a flavivirus --WNV -- and is related to viruses that cause Japanese encephalitis, yellow fever and St Louis encephalitis. "Human infection is most often due to bites from infected mosquitoes. To date, no human-to-human transmission of WNV through casual contact has been documented. Infection with WNV is either asymptomatic (no symptoms) in around 80 per cent of infected people, or can lead to West Nile fever or severe West Nile disease," a health ministry statement said. Testing for West Nile Virus is available at the National Institute of Virology, Pune, and National Institute of Virology, Allapuzha. Facility for xeno-diagnosis with respect to infection among vectors is available at the Vector Control Research Center (VCRC), Kottayam.